It happens to all of us. You’re reading a post on someone’s blog – the content is good, but the images are what first grabbed your attention. You love the blogger’s sense of design and you can’t figure out why your images don’t look anything like that. And you’re not alone; content with relevant images gets 94% more views than content without images. Most of us are visual learners and we all enjoy eye-catching images on a blog. They act as aides to a post, provide a nice break when reading and enhance a blog post by making it more shareable. So, how do bloggers do things like add text to their images to make them pop and stand out? With image editing tools of course. These apps allow you to graphically design your image by overlaying shapes and text that will wow your visitors and make them remember you. But, which editing tool is right for you? 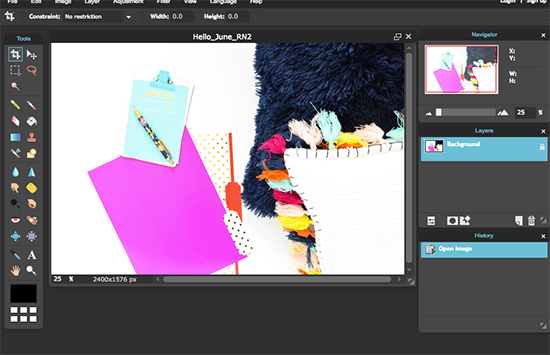 Here are the six most popular photo editing tools available for bloggers. Don’t have time to design your own images? Try outsourcing the designing so you have more time to focus on what matters – growing your business. At Blogging Wizard, we outsource the majority of our image design work to a company called Design Pickle. They offer a monthly subscription service for image design work – blog images, quote images, flyers, banners, t-shirt designs, simple infographics, and more. We used to spend hours on each image and they’d still look dire (we’re not designers, of course). Now we spend a few minutes writing a brief and the images look awesome. 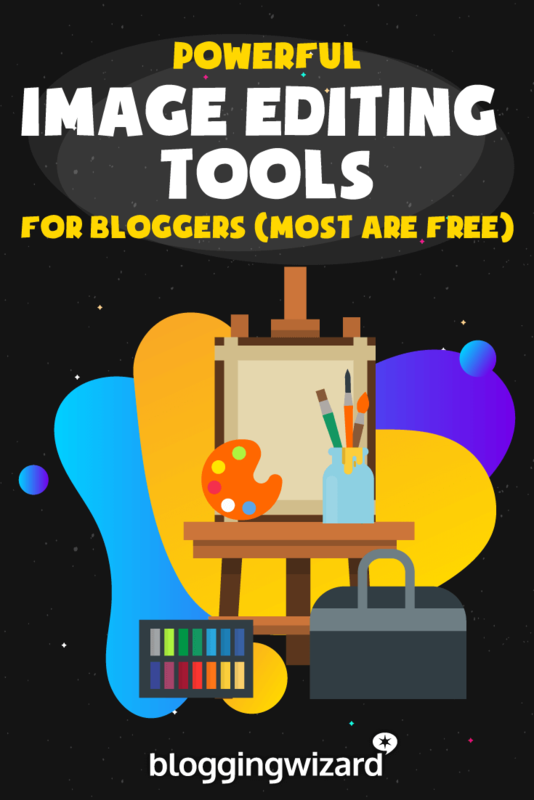 Canva is by far the most popular free online design tool specifically made for bloggers. You can produce professional looking Photoshop-quality graphic images, all with their free basic version. 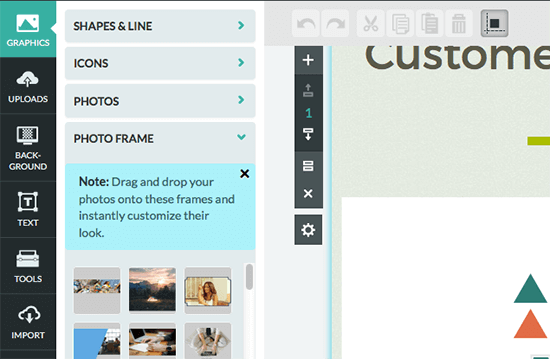 Canva works with drag-and-drop functionality, making it easy to size and move images, add fonts, shapes and text boxes. They have over 1 million preexisting images and graphics you can choose from, or you can upload your own images to use. With thousands of templates to start from and elements to use like free icons and fonts, it’s a blogger’s playground. While Canva is often used for creating graphics to be shared on social media, you can customize your own dimensions if they don’t have a template in your preferred size. 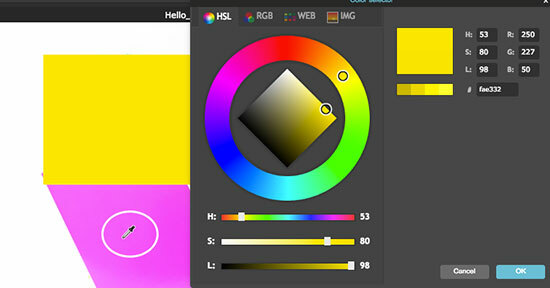 From here you can choose a layout and start to build your graphic. You can also save your work to the cloud, which comes in handy if you’re working on a big graphic like an infographic or an incentive image for your content upgrade. If you’re not familiar with using Canva, they offer a design school, which is a library of tutorials to help you master the features Canva has to offer. If you want to choose from premium images, illustrations or charts, there is a small charge of $1 per item. 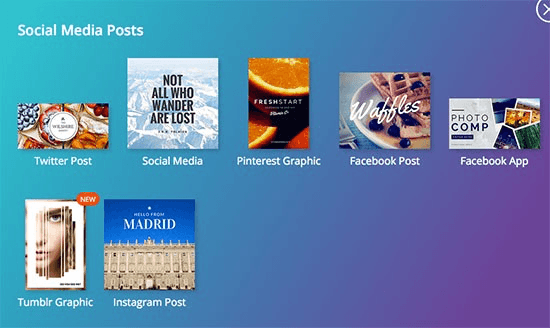 You can also upgrade to Canva for Work, which is a subscription service, starting at $12.97/month or, if you pay annually, it’s only about $9.95/month. PicMonkey is another highly popular photo editing tool available online. The free Basic version offers plenty of editing options that can really make your image pop. While PicMonkey also has “fun” filters such as whisker grow or spray tan available in the premium plan, the basic version has more than enough to touch up your photo and add text to it. It’s easy to use, just upload your image and get to work. While there aren’t any social media templates you can use for your images, PicMonkey makes it incredibly easy to crop your photos to a specific size. One thing that PicMonkey doesn’t have, that Canva does, is the option to save your work to the cloud. With PickMonkey you have to do your touch up and edits all at once, and then download the final image to your computer. PicMonkey offers free tutorials on their blog to help you master all the features available. If you want to upgrade to the Royal plan for more features, it’s $4.99/monthly or, if you pay annually, you end up only paying $3.33/month. 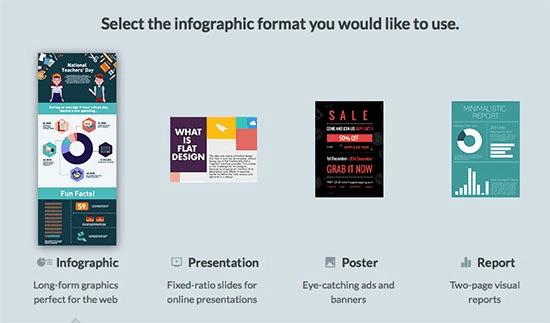 Picktochart allows you to easily make infographics, reports and presentations. Infographics are still a powerful way to present large amounts of information in an easy to digest way. Visual marketing just makes sense and Picktochart can help you with that. Picktochart is easy to use, creates graphics that look professionally made, and even a non-designer can use it. You can choose a template or create your own – psst…pick a template. Picktochart does all the work for you with laying out where the information and visual charts go. All the tools you need are laid out on the side, making it easy to customize and change things around. What’s nice about the simple intuitive interface Picktochart has, is how easy it is to create graphs or charts with your own data. Pick what type of graph or chart you want and double-click to enter your data. Other highlights include the ability to add video to your infographic and upload your own images like a logo for branding purposes. If you want more features like more templates to choose from, the Lite plan runs you $15/month while the Pro plan is $29/month. 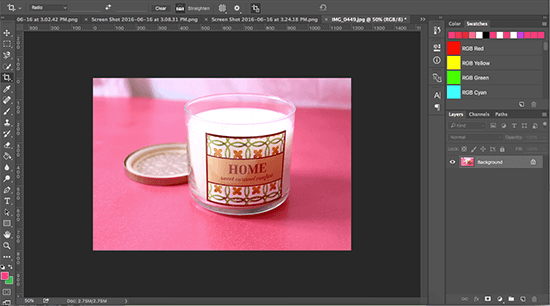 Many bloggers aren’t in a position to buy expensive photo editing software, but Pixlr is a great Photoshop alternative. It’s a free, robust online editing tool intended for non-designers, and has a lot of the same tools and features you would find in Photoshop. And many more. If you’ve ever used Photoshop before, you’ll feel right at home. One useful feature that’s available with Pixlr is the eyedropper tool. If you are creating text over your image, you can use the eyedropper tool to sample a color in your image to use for your text color, giving it a more consistent look. If you find Pixlr Editor too advanced for you, they also offer Pixlr Express with fewer options to choose from. 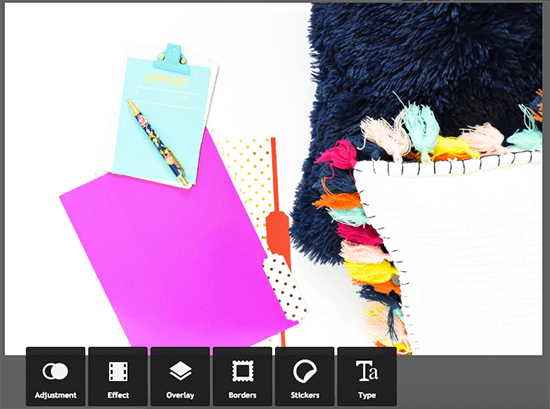 Each tab opens up a series of editing tasks you can perform such as adding text to your image, a border around your image, or adding a vintage filter over your image. Venngage allows you to create infographics, reports, flyers and even social media postings. It’s an easy-to-use online data visualization tool that businesses and bloggers can use. While it’s intended for businesses as a way to save costs on outsourcing graphic designers, it’s easy enough for bloggers and solopreneurs to pick up and use. To start, Venngage categorizes their infographics as beginner, intermediate and advanced, depending on the complexity of the infographic. Venngage uses a drag-and-drop toolbar to make it easy to swap icons or add new ones. A neat feature Venngage offers is pictograms. These are icons that duplicate with different colors. 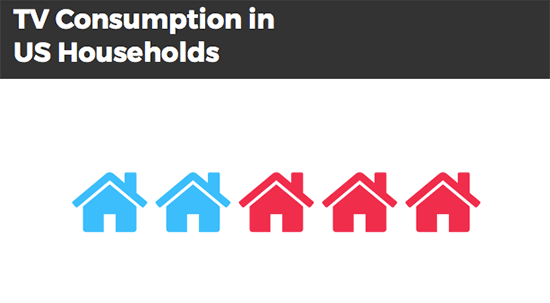 You can then represent a fraction like, 2 out of 5 households don’t have TV’s, for example. Venngage also makes it easy for you to organize your icons and text with a grid style background to help you align your icons and charts. It also auto saves your work while you’re designing which comes in handy when you’re working on in-depth projects. With hundreds of professional looking templates, a huge collection of icons and pictograms, and a library of data-driven maps, graphs and charts, Venngage makes it easy to create a report or infographic in minutes. To get complete access to all of their features, you can upgrade to a monthly plan of only $19 or, if you pay yearly, it drops to $16/month. For as little as $9.99/month you can have access to the latest full version of Photoshop CC for your desktop. Made for professional graphic designers, Photoshop is your complete package for editing, sizing, optimizing, enhancing and designing nearly any graphic imaginable for your site and blog. In Photoshop, you work in layers, making it easy to make changes quickly to only one aspect of your image – for example, a filter layer or text layer. One new feature that the latest version of Photoshop offers is the ability to create artboards so you can work on multiple images at a time. This ensures all your images or image variations are contained in one file. For example, when I branded my Pinterest board covers, I created an artboard for my Pinterest board cover template with guides for my text. I then duplicated my artboard to make the rest of my Pinterest board covers, making it incredibly easy to copy and transfer text and images from one cover to the next. If you don’t know how to use Photoshop, Adobe offers tutorials that walk you through learning the essentials to editing your first photo, and more. If you’ve been using Photoshop for a bit and want to learn more features, check out these tutorials where you can learn how to create a product mockup box or create fiery text. Finding the perfect image to edit can be a challenge. You can’t just copy an image you see on Google, or on someone else’s site. Most likely it’s copyrighted and you can’t use that image unless you have permission from the person who took the photo. So, where can you find sharable images that are free to use? The best places are sites that have Creative Commons licensed images. These images are free to share and – depending on the specific Creative Commons license – you can often freely modify them for personal or commercial use. Having the perfect image not only means finding it, but also editing it and designing it so that it gets shared on social media, or so that it reflects your brand image. Editing apps like Canva, PicMonkey and Pixlr offer a host of features, fonts, and editing tools to make any novice look like a pro. 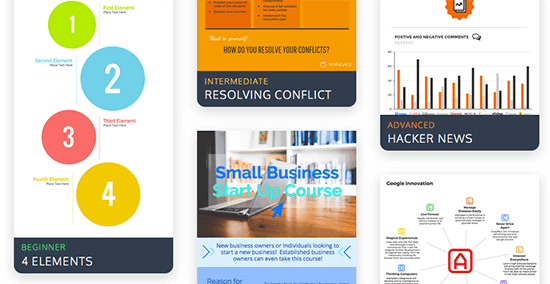 If you’re in need of an infographic, report or presentation for your business or blog, Piktochart and Venngage have got you covered. With hundreds of templates and icons to choose from, you’ll have no problem entering your data and creating a professional looking presentation or infographic. But before you upload your amazing new images to your site, there is one last crucial step. You must optimize your images for the web, otherwise all your efforts will be laid to waste when your readers have to wait for your images to load. Don’t worry, it’s easy – click here to read my image optimization guide. Finally, if you want to use what the pros are using, consider Photoshop. With plenty of free guides and video tutorials online, you’ll be able to quickly pick up the steps it takes to edit your images. 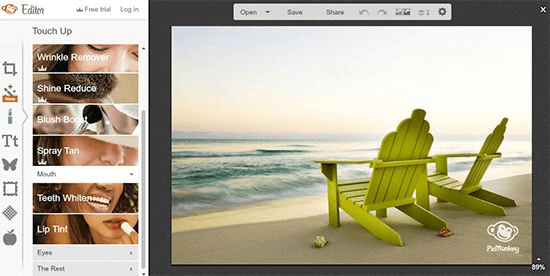 Over to you – which image editing tool are you using and why? If you’re a Blogging Wizard subscriber, you get free life-time access to 15+ helpful blogging guides, templates and checklists in our VIP Resource Library. Not subscribed yet? Sign up here.